With Vinny getting older his style is changing year by year, last year he would have been in bright colours and quite babyish clothes but this year my little 2 and a half year old looks all grown up! I absolutely adore Vinnys style, it’s very cool if I do say so myself. Let me talk you through one of his latest winter go to outfits! I absolutely love this shot I took of him in his room before heading out and had to share it with you all, Vinny is wearing his new Vertbaudet Fur-lined Duffle coat and I think it’ looks a lot like the coats Mark and I got the other day when we did the his and hers winter post. I love parker jackets and think this one with a faux fur hood looks adorable on Vinny, it’s his first coat with a faux fur hood and I thought he may be a little fussy wearing it but he thinks the hood is hilarious and loves it. For those wondering on sizing we went for age 3 as Vinny is quite big for his age and I wanted something he could wear layers under so this fits perfectly and still has enough room for growth, I will definitely be keeping this for his little brother when Vinny grows out of it! Onto new shoes, Vinny got these new kids Ugg boots from Daniel Footwear and I think they are the perfect winter boot they are very smart and I absolutely love that they have zip up fastening because I initially though you’d just have to tie them up which did put me off but the fact that you don’t makes everything so much easier especially with an impatient toddler! 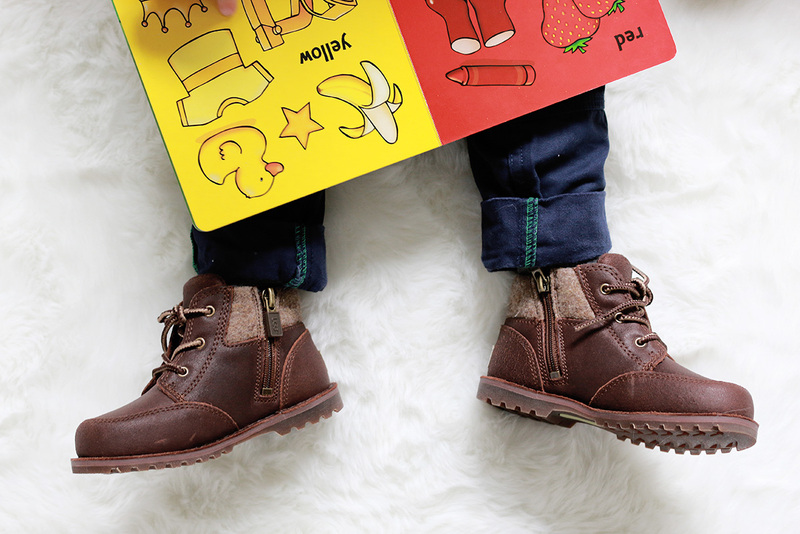 We opted for the brown suede as I think they would go with more outfits but they do also come in black which look very smart also, I love these boots and Vinny is very impressed with them too as they are his very first pair of boots! I can’t believe how grown up Vinny is starting to look, my little man is getting ready to become a big brother and I can’t wait to capture the moments when they first meet. 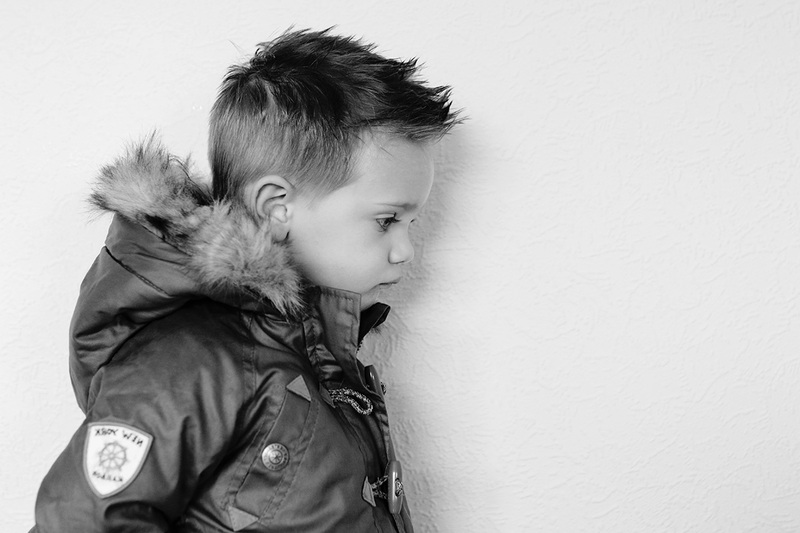 I hope you enjoyed Vinnys winter style post, has your toddlers style changed much this year?